Star Wars: The Last Jedi was intense; Star Wars 9 is going to be on another level. Don’t take my word for it, John Boyega thinks so too. In fact, he’s already got training on the mind in preparation for the craziness that is bound to spew forth from the final movie in the latest trilogy (not to be confused with the original trilogy, the prequel trilogy, or Rian Johnson’s new trilogy... Got it?). While Boyega may not have seen any scripts, I’m guessing he has a more-than-good idea of what direction the story is heading in – and his words almost give away a little too much. 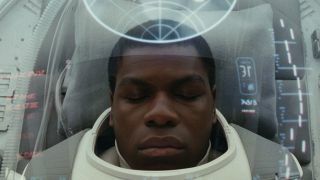 If physical training is starting sooner rather than later, it’s a good indication that we’re going to get a combat-laden ninth Episode, filled with more fights than you can shake a lightsaber at – and Finn might just be the heart of it all. To get as pumped as John Boyega, you might need some help: the best Star Wars quotes could be just what you need to send your heart racing into warp speed.